The crusades of the 11th to 15th century CE have become one of the defining events of the Middle Ages in both Europe and the Middle East. The campaigns brought significant consequences wherever they occurred but also pushed changes within the states that organised and fought them. Even when the crusades had ended, their influence continued through literature and other cultural means and, resurrected as an idea in more modern times, they continue today to colour international relations. an increased presence of Christians in the Levant during the Middle Ages. the development of military orders. a polarisation of the East and West based on religious differences. the specific application of religious goals to warfare in the Levant, Iberian peninsula, and Baltic region, in particular. the increased role and prestige of the popes and the Catholic Church in secular affairs. the souring of relations between the West and the Byzantine Empire leading, ultimately, to the latter’s destruction. an increase in the power of the royal houses of Europe. a stronger collective cultural identity in Europe. an increase in xenophobia and intolerance between Christians and Muslims, and between Christians and Jews, heretics and pagans. an increase in international trade and exchange of ideas and technology. an increase in the power of such Italian states as Venice, Genoa, and Pisa. the appropriation of many Christian relics to Europe. the use of a religious historical precedent to justify colonialism, warfare and terrorism. The immediate geopolitical results of the crusades was the recapture of Jerusalem on 15 July 1099 CE, but to ensure the Holy City stayed in Christian hands it was necessary that various western settlements were established in the Levant (collectively known as the Latin East, the Crusader States or Outremer). For their defence, a steady supply of new crusaders would be needed in the coming decades and military orders of professional knights were created there such as the Knights Templar and Knights Hospitaller. These, in turn, inspired the formation of chivalric orders like the Order of the Garter in England (founded 1348 CE) which advocated the benefits of crusading on their members. Despite the militarised presence in the Holy Land, the continued recruitment drive in Europe, and increased involvement of kings and emperors, it proved impossible to hold on to the gains of the First Crusade and more campaigns were required to recapture such cities as Edessa and Jerusalem itself after its fall again in 1187 CE. There would be eight official crusades and several other unofficial ones throughout the 12th and 13th centuries CE, which all met with more failure than success, and in 1291 CE the Crusader States were absorbed into the Mamluk Sultanate. Travel became more common, initially in the form of pilgrimage to the Holy Land & there developed a thirst to read about such journeys which were widely published. The Muslim world had, prior to the crusades, already embarked on jihad - often translated as 'holy war’ but meaning, more accurately, a ‘striving’ to both defend and expand Islam and Islamic territories. Despite the religious significance of Jerusalem to Muslims, the coastal Levant area was only of minor economic and political importance to the caliphates of Egypt, Syria, and Mesopotamia. The Muslim world was itself divided into various Muslim sects and beset by political rivalries and competition between cities and regions. The crusades did provide an opportunity for greater unity in order to face this new threat from the West, but it was not always an opportunity taken. Some rulers, most famously Saladin, Sultan of Egypt and Syria (r. 1174-1193 CE), did employ the propaganda of religious warfare to present themselves as the chosen leader of the Muslim world to help them gain supremacy within it. The crusader movement spread to Spain where, in the 11th-13th century CE, attacks were made against the Muslim Moors there, the so-called Reconquista (Reconquest). Prussia and the Baltic (the Northern Crusades), North Africa, and Poland, amongst many other places, would also witness crusading armies from the 12th up to the 15th century CE as the crusading ideal, despite the dubious military successes, continued to appeal to leaders, soldiers, and ordinary people in the West. Finally, the crusades as an idea would have reached just about everyone in Europe by the 14th century CE, and the majority of people would have sat through at least one sermon preaching their merits and heard the need for recruitment and material support. Indeed, very few people’s pockets would have remained untouched by the state and church taxes which were regularly imposed to pay for the crusades. The success of the First Crusade and the image that popes directed the affairs of the whole Christian world helped the Papacy gain supremacy over the Hohenstaufen emperors. The Catholic Church had also created a new fast-track entry into heaven with the promise that crusaders would enjoy an immediate remission of their sins - military service and penance were intermixed so that crusading became an act of devotion. However, with each new failed campaign, papal prestige declined, although in Spain and north-east Europe the territorial successes did promote the Papacy. Another negative consequence for many was the Church’s official sanction of the possibility to purchase indulgences. That is if one could not or did not want to go on a crusade in person, giving material aid to others who did so reaped the same spiritual benefits. This idea was extended by the Catholic Church to create a whole system of paid indulgences, a situation which contributed to the emergence of the Reformation of the 16th century CE. The crusades caused a rupture in western-Byzantine relations. First, there was the Byzantine’s horror at unruly groups of warriors causing havoc in their territory. Outbreaks of fighting between crusaders and Byzantine forces were common, and the mistrust and suspicion of their intentions grew. It was a troublesome relationship that only got worse, with accusations of neither party trying very hard to defend the interests of the other. The situation culminated in the shocking sacking of Constantinople on 1204 CE during the Fourth Crusade, which also saw the appropriation of art and religious relics by European powers. The Empire became so debilitated it could offer little resistance to the Ottoman Turks in 1453 CE. The power of the royal houses of Europe and the centralisation of government increased thanks to an increase in taxes, the acquisition of wealth in the Middle East, and the imposition of tariffs on trade. The death of many nobles during crusades and the fact that many mortgaged their land to the crown in order to pay for their campaigns and those of their followers also increased royal power. There was a decline in the system of feudalism, too, as many nobles sold their lands to fund their travels, freeing their serfs in the process. The conquest of the Muslim-held territories in southern Italy, Sicily, and the Iberian peninsula gave access to new knowledge, the so-called ‘New Logic’. There was also a greater feeling of being ‘European’, that despite differences between states, the people of Europe did share a common identity and cultural heritage (although crusading would be incorporated into ideals of chivalry which widened the gulf between those who were and those who were not members of the knightly class). The other side of the cultural coin was an increase in xenophobia. Religious intolerance manifested itself in many ways, but most brutally in the pogroms against the Jews (notably in northern France and the Rhineland in 1096-1097 CE) and violent attacks on pagans, schismatics and heretics across Europe. Trade between East and West greatly increased. More exotic goods entered Europe than ever before, such as spices. Trade between East and West greatly increased. More exotic goods entered Europe than ever before, such as spices (especially pepper and cinnamon), sugar, dates, pistachio nuts, watermelons, and lemons. Cotton cloth, Persian carpets, and eastern clothing came, too. The Italian states of Venice, Genoa, and Pisa grew rich through their control of the Middle East and Byzantine trade routes, which was in addition to the money they raked in from transporting crusader armies and their supplies. This was happening anyway, but the crusades probably accelerated the process of international trade across the Mediterranean. Travel became more common, initially in the form of pilgrimage to the Holy Land and there also developed a thirst to read about such journeys which were widely published. The age of exploration had begun and would lead to the discovery of the New World where the concept of a crusade against non-believers was once more applied. Hernán Cortés, the conqueror of the Aztecs, claimed his followers were milites Christi or ‘Knights of Christ’ waging a guerra santa or ‘Holy War’. 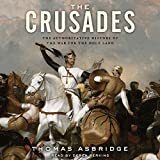 The crusades cast a very long shadow indeed, with works of art, literature and even wars endlessly recalling the imagery, ideals, successes and disasters of the holy wars into the 21st century CE. There was a process of hero-worship, even in medieval times, of such figures as Saladin and Richard the Lionhearted who were praised not only for their military skills but, above all, for their chivalry. Following the Reformation, the opposite happened and the crusades were brushed under the historical carpet as a brutal and undesirable aspect of our past that was best forgotten. The 19th century CE saw a return of interest in the West with such novels as Sir Walter Scott’s The Talisman (1825 CE). With the Allied occupation of Palestine in the First World War in the 20th century CE, the ghosts of the Crusaders came back to haunt the present in the form of propaganda, rhetoric, and cartoons. By the Second World War, the very term ‘crusade’ was, conversely, stripped of its religious meaning and applied to the campaigns against Nazi Germany. General Eisenhower, the U.S. commander of the allied forces, even gave his 1948 CE account of the campaign the title Crusade in Europe. Most recently, the 21st-century CE fight against terrorism has frequently been couched in terms of a ‘crusade’, most infamously by U.S. President George W. Bush following the Twin Towers attack in 2001 CE. With the rise of Arab nationalism, the debate over the position and validity of the state of Israel, and the continued interventionist policies of western powers in the Middle East, the secular goals of territorial control and economic power have been mixed and confused with divisions of religion so that terms such as 'crusade’, ’Christian’, ‘Muslim’, and ‘jihad’ continue, in both the East and West, to be used with ignorance and prejudice as labels of convenience by those who strive to make history instead of learning from it. Riley-Smith, J. The Oxford Illustrated History of the Crusades. (OUP Oxford, 2018). Cartwright, Mark. "The Crusades: Consequences & Effects." Ancient History Encyclopedia. Last modified October 09, 2018. https://www.ancient.eu/article/1273/. Cartwright, Mark. "The Crusades: Consequences & Effects." Ancient History Encyclopedia. Ancient History Encyclopedia, 09 Oct 2018. Web. 20 Apr 2019. Submitted by Mark Cartwright, published on 09 October 2018 under the following license: Creative Commons: Attribution-NonCommercial-ShareAlike. This license lets others remix, tweak, and build upon this content non-commercially, as long as they credit the author and license their new creations under the identical terms. Please note that content linked from this page may have different licensing terms.